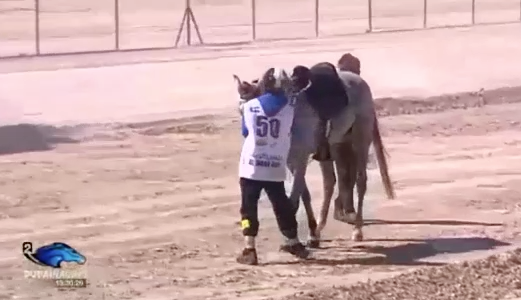 At last the FEI has been forced to act in the Group 7 countries after the recent horrific images and videos emerged from the Al Reef Cup. 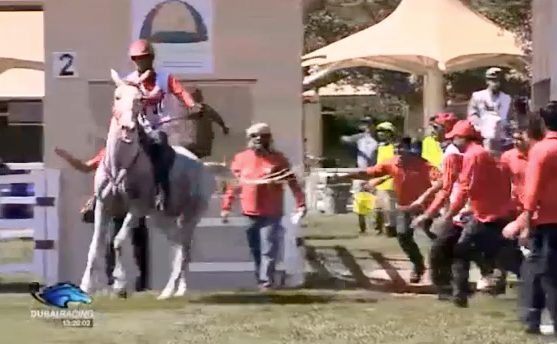 Below are stills from videos of horses setting out from the last gate in the Al Reef Cup. 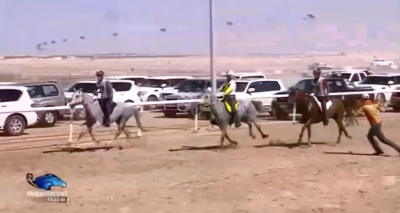 When clearly reluctant horses need to be chased by groups of men waving their arms and ropes to force them to carry on the time has come to review the practices. These are horses setting out after already competing 100km. The below are photos of the end of the race – there are more cars than horses – a hugely intimidating atmosphere for any horse, let alone a tired horse. One can only wonder the purpose of the apparent ‘assistance’ of the man on foot. Where were all these cars when Splitters Creek Bundy suffered for 20 minutes with a double fracture? Great credit must go to the Clean Endurance Facebook groups for gathering information and putting it out to the press despite serious opposition from within the sport. There has been much dissent and victimisation towards them from the ranks of Endurance, with many participants choosing to close their eyes to the welfare issues in acceptance of the Arab dollar. 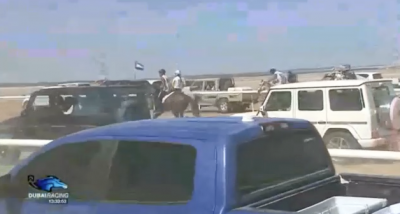 Now they need to take their blinkers off (and help take the blinkers off the Gr 7 horses, and the ear twitches, and the hidden drips and all the other atrocious practices) and face up to the cruelties occurring. Well done to the FEI for finally taking action. Lets hope this signals a massive and urgently needed change for the better within the sport of Endurance.